It took me "forever" to mask all of these birds to stamp them, then colour them, but I think it is delightfully cute, so worth the effort. 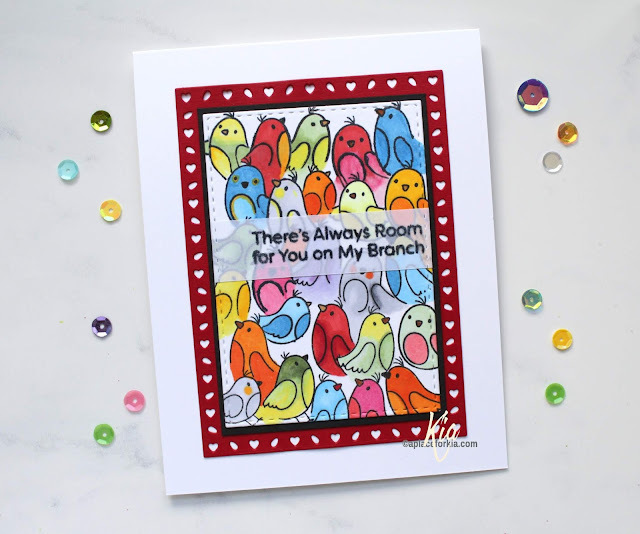 This card came about from the inspiration challenge at Splitcoaststampers today, where we visited a site called Redbubble. What fun it was to visit this site, and I found loads of inspiration. But, anyone who knows me will know I love birds, so you will not be surprised to see that I picked this tote for my card today. The colours are darker on the tote, and I wanted to keep my card on the bright side, so I opted for more vibrant colours, colouring with Copic Markers. 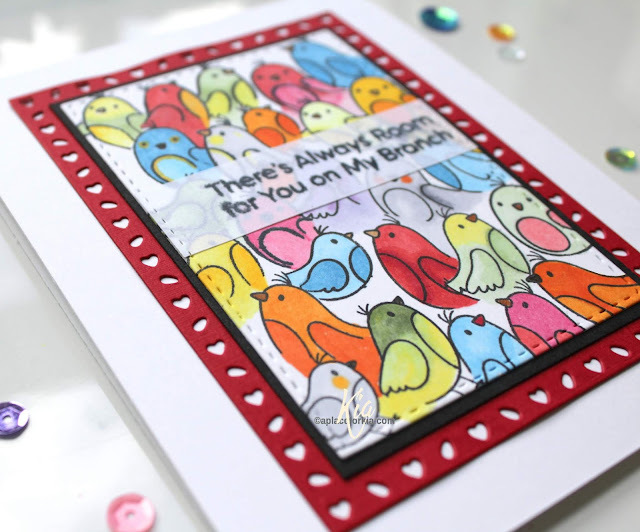 For my white space, instead of leaving some of the birds with white faces, I opted for white space in between the stamping. 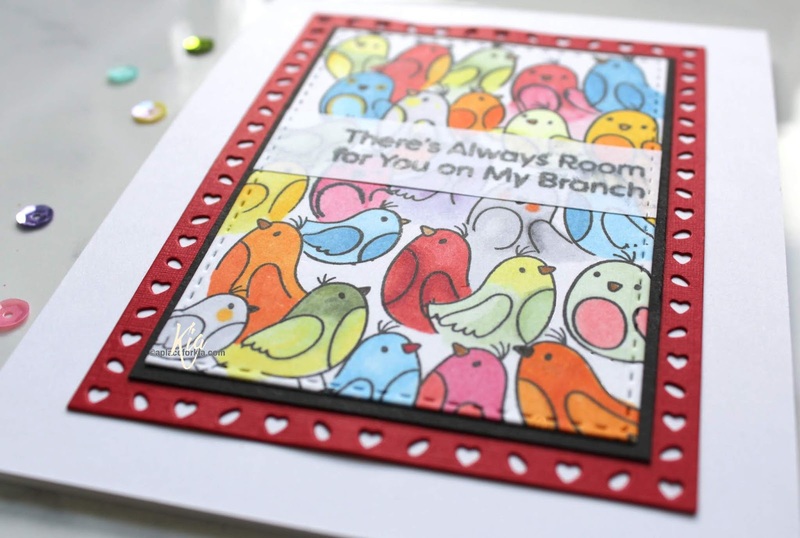 I die cut my bird panel with the stitched rectangle die, and matted with black, then attached to a red frame that I die cut with the rectangle sweetheart die. I finished my card by stamping the sentiment on some vellum, which I also had cut with the stitched die, and attached to my card panel using vellum tape. I hope you enjoy this card as much as I enjoyed making it, and thank you for visiting my blog. 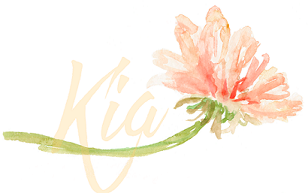 How fun and bright bird card, Kia! Great take on the tout design. And you have amazing perseverance - I can tell how much you love birds!